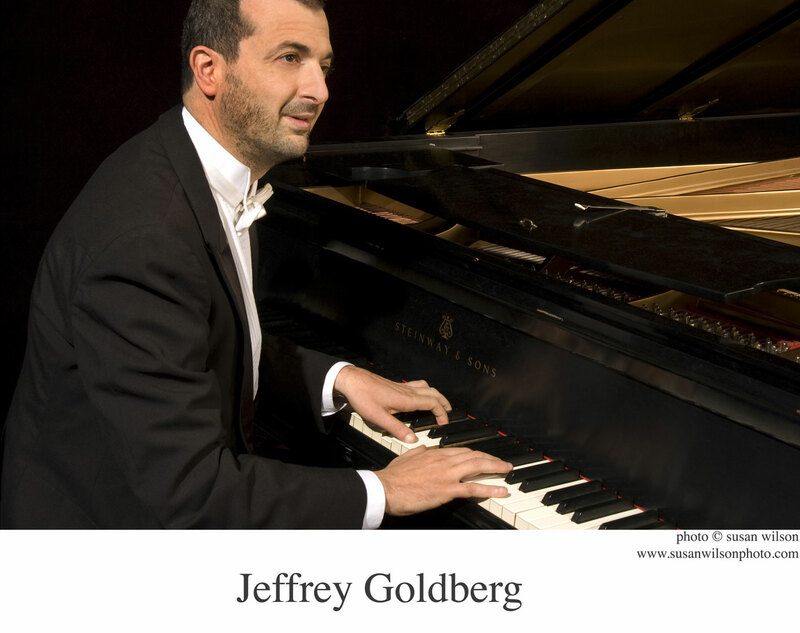 Jeffrey Goldberg’s teachers include Luise Vosgerchian, Sarah Benson, Leonard Bernstein, Ivan Tcherepnin and Joe Maneri, and he has served on the faculties of Harvard, Boston Arts Academy, The Banff Centre, The Rivers School Conservatory, and New England Conservatory of Music. His improvisations have been featured in concerts and festivals throughout Europe and North America, including Palau de la Música Catalana, the Darmstadt Festival of Contemporary Music, and the Frankfurt Jazzkeller. His compositions range from music used for sound healing to two commissions by the Hannover Opera: an electronic ballet on the life of Marlene Dietrich; and an opera that set a Wagnerian-satire libretto to klezmer music, and featured the first use of rap on a German opera stage. Dr. Goldberg collaborated with Yo-Yo Ma and Bobby McFerrin in the film “Yo-Yo Ma at Tanglewood,” and has been a piano soloist with the Boston Symphony Orchestra and the Boston Pops. He has served as as a vocal coach/conductor with the State Operas of Hannover, Darmstadt, and Chemnitz and as music-director for several Boston-area theatres.